Update: The Grandville Police Department says Salvador Hernandez-Lopez was located by a family member at 2 a.m. Monday. Hernandez-Lopez was evaluated by medical personnel and appeared to be in good condition. Grandville Police would like to thank those involved in locating Mr. Hernandez-Lopez. Original story: An elderly man who has dementia has been reported missing out of Grandville. 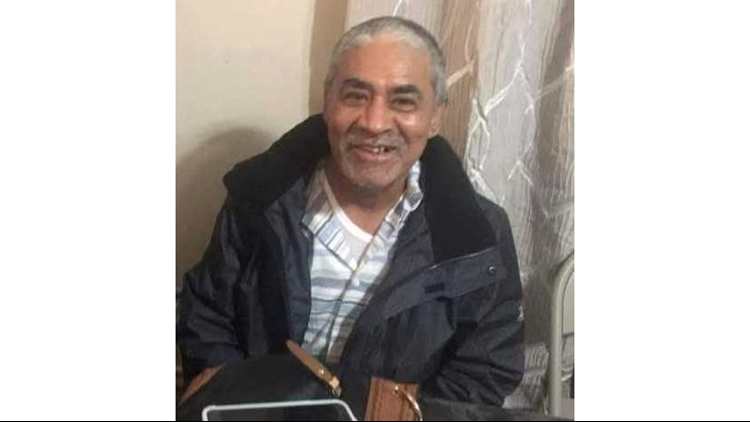 The Grandville Police Department said that Salvador Hernandez-Lopez was last seen at the Rivertown Crossings Malls around 5:45 p.m. He was last wearing a red jacket, dark jeans and carrying a blue coat. He is 5-foot-2 and 150 pounds with gray hair. Anyone with information is asked to call Silent Observer at 616-774-2345 or the Grandville Police Department at 616-538-6110.